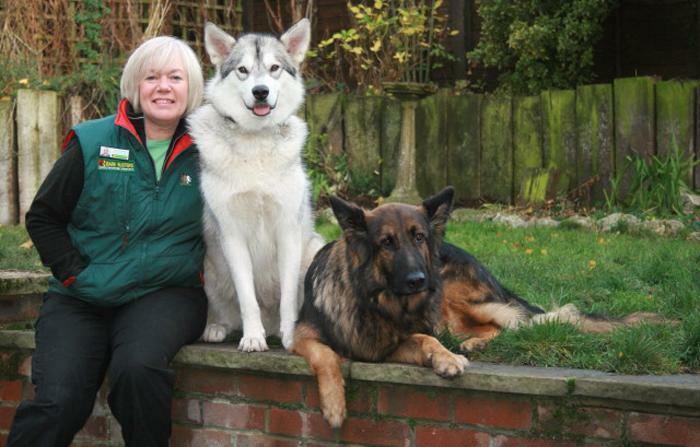 Hello, I'm Tina Edwards, Bark Busters Dog Training Rochester & Gillingham areas. 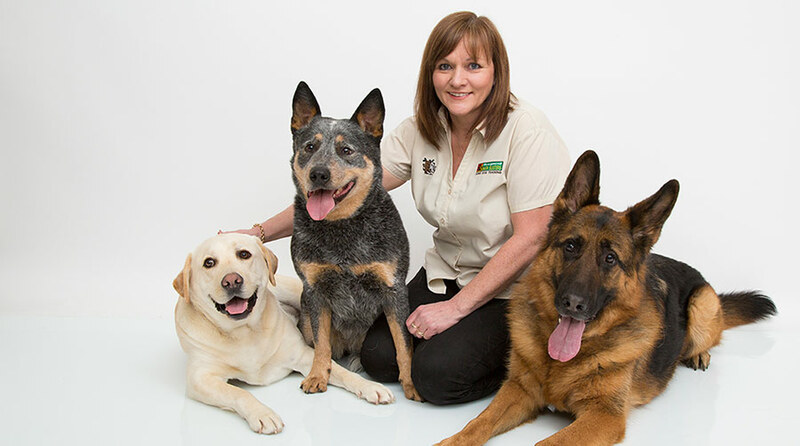 I have always loved dogs and it had always been my dream to be involved with dog training. I grew up in Kent and when my corporate business life was no longer providing any satisfaction I looked to change my life completely and found Bark Busters! The residential training was long and testing, but hugely enjoyable and ever since I graduated, I have loved a rewarding job, helping owners forge new relationships with their dogs, giving them back the enjoyment previously lost through bad behaviour. Now instead of sitting on stifling trains and in front of a computer all day, I spend my working day with people and their dogs inside and out in parks and woodlands. I help them to solve such behaviour problems as barking, aggression and boisterousness and take great pleasure in the way dogs can change very quickly with our methods, delighting in happy relaxed dogs grateful to have their owners take control in a calm, quiet way. One of the jobs I really love is helping people with their new puppies. I can show them how to toilet train and to prevent the bad behaviour starting in the first place!! Most important of all with a young dog, I help to show them how to get their pup to come back when called, essential for everyone's safety and peace of mind. I do succumb to some cuddles and playtime too!